Great Blue Herons are often seen from my deck as they like the marshy area behind the property. They seem to be awkward looking when wading through the water and yet very graceful as well. 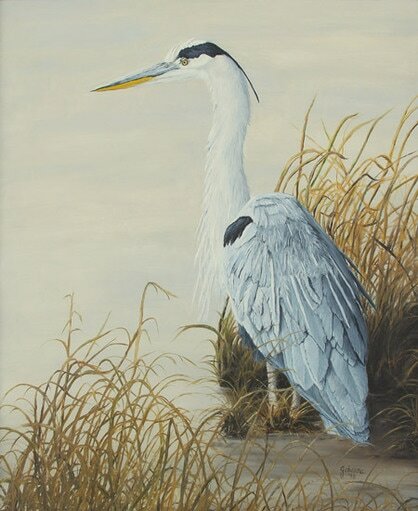 Giclee fine art paper and canvas prints from my original oil painting of this Great Blue Heron.